The Adirondack Welcome Center off the Northway in Queensbury. Photo by Phil Brown. It seems good ideas never die. 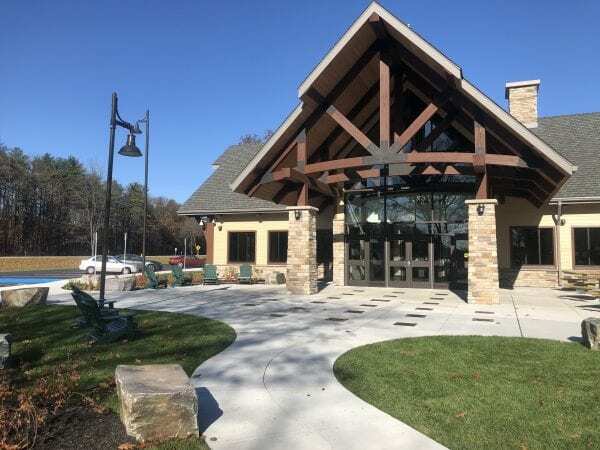 Twenty-eight years later, the New York Department of Transportation has opened a $16.2 million Adirondack Welcome Center along the Northway in Queensbury, a little south of the Blue Line. This weekend I had the chance to visit the center, which opened in late September at an old rest area. 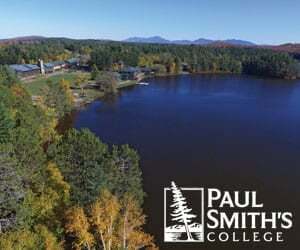 The new facility is impressive and does a good job acquainting tourists with the beauty and amenities of the Adirondack Park. Inside the Adirondack Welcome Center. The stone-and-wood structure, with its vaulted ceiling, is reminiscent of Adirondack Great Camp architecture. At 8,615 square feet, it encompasses four times as much space as the former buildings at the site. 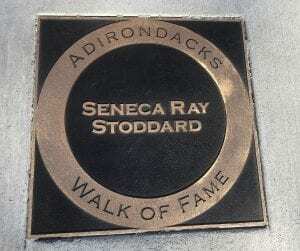 Outside the entrance is an Adirondack Walk of Fame, which honors 21 people who made a mark on the region. 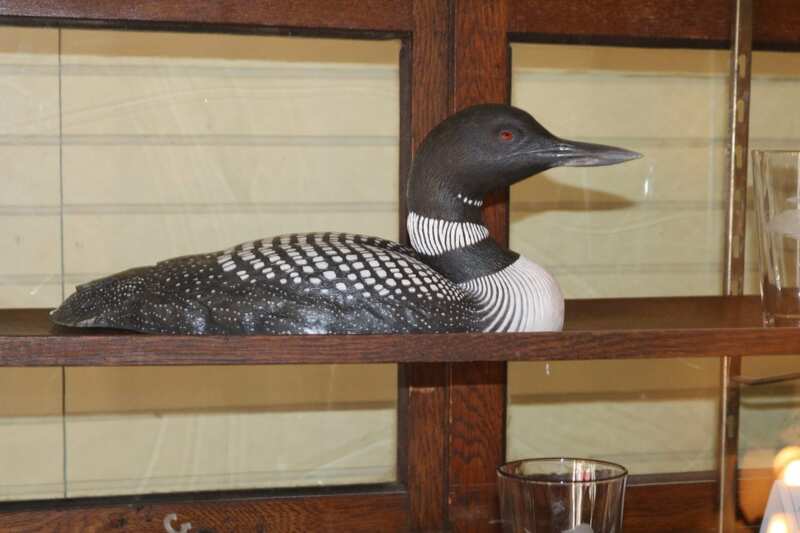 They include Seneca Ray Stoddard, the nineteenth-century photographer; Bob Marshall, the wilderness advocate; Grace Hudowalski, the longtime historian of the Adirondack 46ers; and Georgia O’Keeffe, who made many paintings of Lake George. I was disappointed that the Walk of Fame omitted Paul Schaefer, the great Adirondack conservationist of the last century. Entering the building, you find yourself crossing a giant floor map of the Park, with its largest lakes outlined in bronze. On the wall opposite the entrance is a large screen playing a video highlighting the region’s natural beauty and more than 20 tourist destinations. One area of the building features vending machines, cafe tables, and outlets/USB ports for charging phones and computers. You won’t find M&M’s and Hershey bars here. Rather, the vending machines sell a variety of local products, ranging from handmade soap to Dak Bars (almonds, cherry, and chocolate) to recreational maps to maple syrup. A plaque on the Walk of Fame. 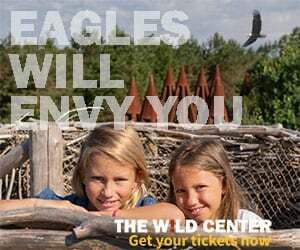 Elsewhere, you’ll find small historical exhibits, such as a Native American headdress, and a reproduction of the original map of the Park. There also are interactive exhibits. If I have a criticism, it’s that the Welcome Center overemphasizes tourism at the expense of human history and natural history. 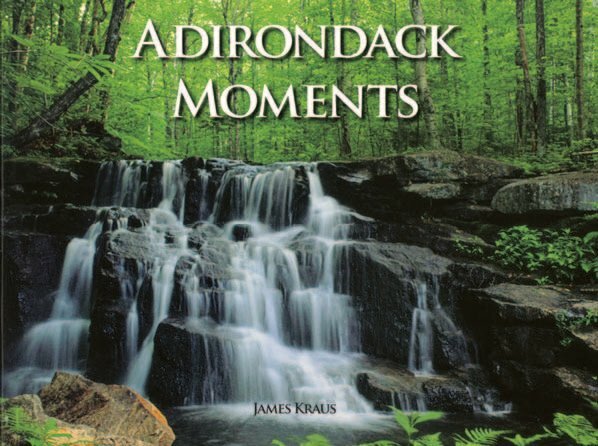 The state missed an opportunity to explain the Adirondacks’ importance in the history of American conservation. 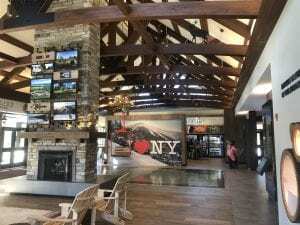 The Adirondack Welcome Center is a step up from the High Peaks Welcome Centers farther up the Northway. It would be nice if the state built similar facilities at other major entrances to the Park—for example, on Route 28, Route 30, and Route 3. And how about another one on the Northway to cater to people driving south from Canada? Upon the death of William McKinley, Theodore Roosevelt became President while in the Adirondacks at approximately 2:15 AM on September 14, 1901. President Calvin Coolidge vacationed in the Adirondacks while in office.